April 24, 2017 By Chelsea T.
Who doesn't love a good ghost story? Throughout the state of Ohio, there's quite a few surrounding some popular locations, and various spots throughout the state that not too many even know about. From private residences, to asylums, hospitals, schools, cemeteries, theaters and roads and parks, there are a number of Haunted Places all over Ohio. Whether you're looking to do some paranormal exploring in Southern Ohio near Cincinnati, or up North near Cleveland, the haunted spots are endless, and have quite a few ghost stories attached to them. 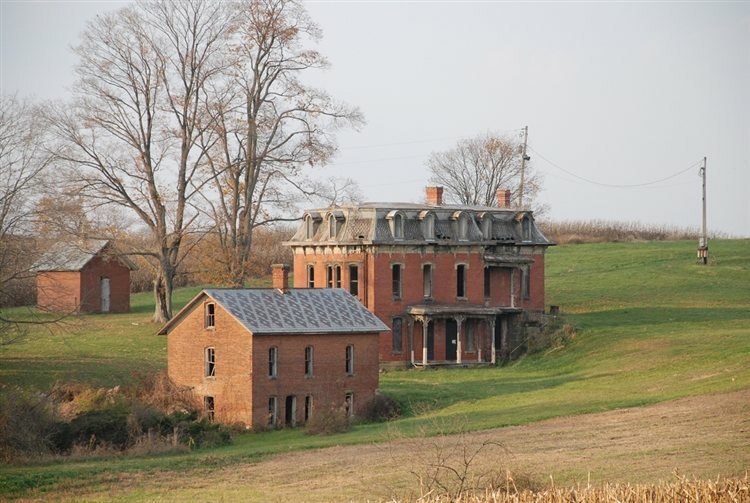 Check out our Top Ten list of Ohio's Haunted Places below! Also known as the Mansfield Reformatory, this historic prison first opened its doors in 1886 and ceased operation in 1990. According to Dead Ohio, the location was built to "humanely rehabilitate first-time offenders." However, as time went on, the conditions inside the prison began to deteriorate and the legacy of the site became one associated with torture, abuse and murder. 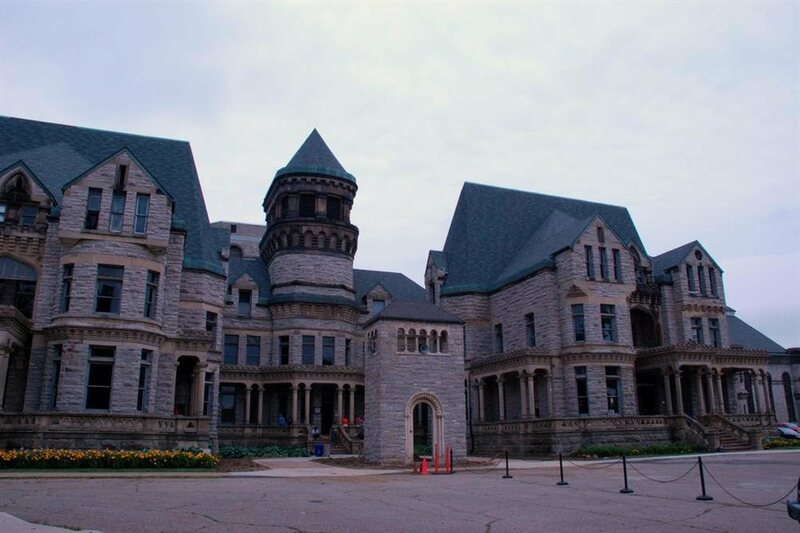 The Mansfield Reformatory Preservation Society (MRPS) took over the prison in 1995 and opened the location for ghost tours because those that died there were said to still linger in spirit. Ever since it was opened to the public, it has been considered one of the most haunted places in the United States and paranormal investigators have captured a number of orbs in photographs and haunting EVPs. Many visitors report feeling cold spots, and equipment malfunctions for no reason. Some of the most haunted locations in the prison are said to be the East Wing first floor bathroom, and the third floor of the administration building, where shadowy figures have been spotted on multiple occasions. The cell blocks are also known to house some spirits, where tons of murders and suicides took place while the prison was still in operation. 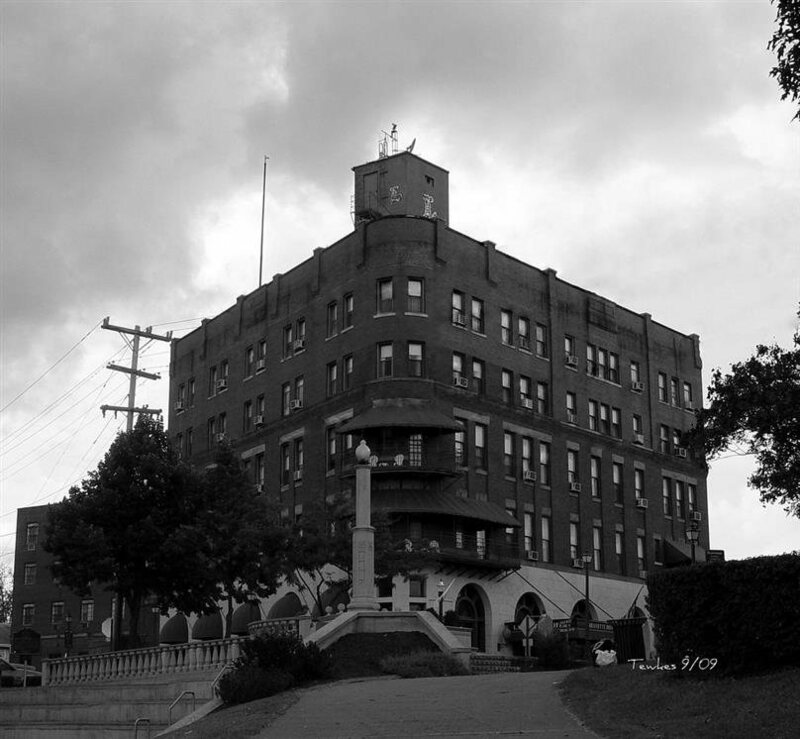 Located in the oldest town of Ohio, The Lafayette Hotel in Marietta was originally built atop an old hotel called The Bellvue and is no stranger to ghosts. Dating back to 1892, the riverfront hotel was a beautiful gem on the corner of Front and Greene Streets, until a fire destroyed it in 1916. The new structure was built and to this day it is one of the most popular paranormal attractions in the historic town. The hotel is believed to be haunted by its former owner and visitors have reported a number of strange occurrences, including missing items, emptied shampoo bottles and suitcases that were turned upside-down. The third floor is said to be the most haunted, some employees even refuse to go up there. This floor is ideal though for thrill seekers who are looking to enjoy a good scare during their stay! 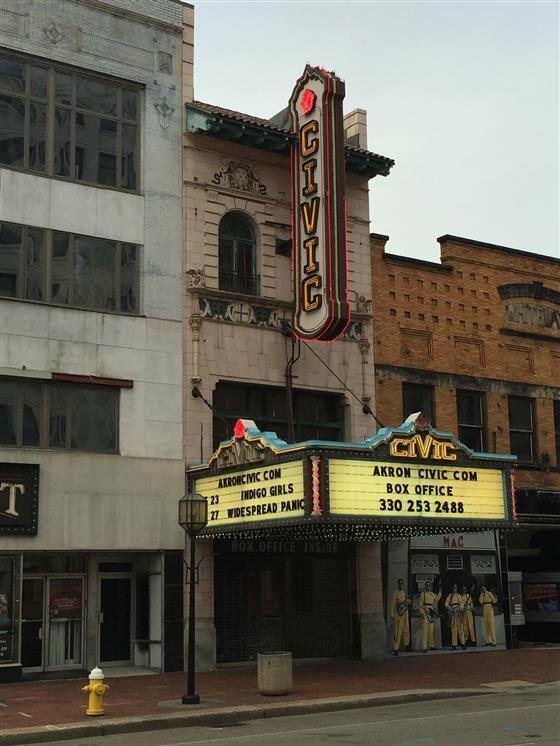 Dating back to 1929, The Civic Theatre in Akron has a reputation for being quite haunted. The ghost who is believed to reside here is that of a loyal janitor who once worked at the theater. He was rumored to have died during his shift and allegedly gets angry at people who mess up the bathrooms. Another spirit seen is a well-dressed man who has been spotted sitting up in the balcony on occasion. A girl ghost is the third spirit that lingers here, and she is said to walk along the old canal behind the theater. Stories say the girl committed suicide in the canal long ago and that she can sometimes be heard crying. This historic home on Franklin Boulevard has four stories and more than twenty rooms, and some ghost stories, too. According to Forgotten Ohio, the residence is known as Ohio's most haunted house, featuring a number of ghosts who reside there. It dates back to the late 1800s and was built by Hans Tiederman, who also included some hidden passages throughout the home. Along with being a private residence, the location also operated as a clubhouse for a Nazi Organization, and a site for bootlegging during Prohibition. There have been a number of tragedies at the home, experienced by the Tiedemann family. Hans was believed to have hanged his daughter Katie in one of the secret passageways, and four other children of his also died in the home. Three were babies when they died, and the fourth was a teenager who died of diabetes. Eerie occurrences here include ghost sightings, sounds of babies crying, and the apparition of a thin woman in black, believed to be Katie Tiedemann. A group of men were also gunned down at the mansion following a dispute with Nazi sympathizers, and their ghostly discussion can still be heard to this day. 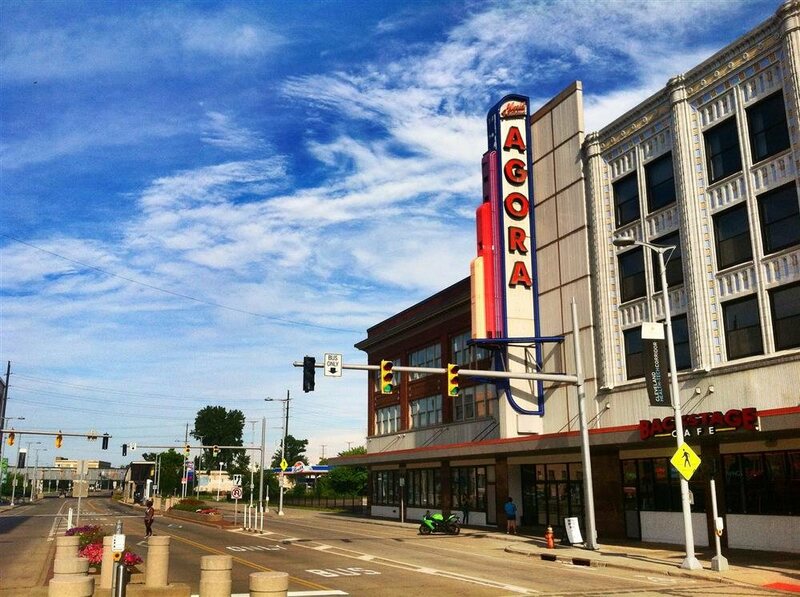 This historic theatre is located on Euclid Avenue and has seen the likes of Elvis and The Beatles who have performed on stage here, but many say this Cleveland theater has some haunting history as well. A number of apparitions have been spotted here, mostly one of a man wearing a yellow raincoat. Psychic Sonya once did an investigation here and even performed an exorcism and said the ghostly man's name was John. Employees still report strange feelings inside the theater, though, even after the exorcism took place. Some say that not all the spirits were eliminated. 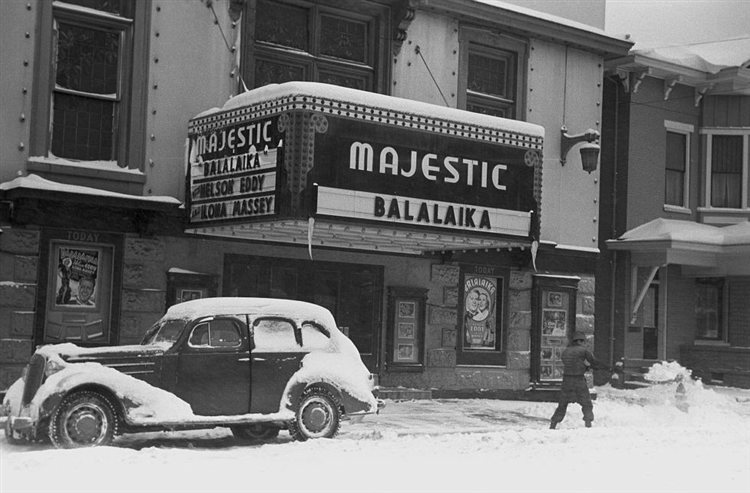 Located in the historic downtown Chillicothe, The Majestic Theatre dates back to 1853 and was built on the site of the town's first bank, which had burned down. The theater became a makeshift morgue and autopsy site in 1918 when a Spanish flu epidemic swept the nearby Camp Sherman. It has been said that the soldiers' spilled blood was pumped into the alley, which is still called "Blood Alley" to this very day. Eerie reports here include apparition sightings and foggy shapes, and even a dead body that appeared on the stage during a performance. A ghostly man wearing a dark suit and top hat has also been spotted floating down an aisle, and a little girl has been seen running through the dressing rooms. This once private residence is sometimes known as the Hartman Place and is now abandoned, but the owner will supposedly sue anyone who trespasses onto the property illegally. The brick home was built in the mid-19th Century, according to Mysterious Heartland, and has quite the history. It has been said the home's original owner treated his servants terribly and would even lock them away in the basement. The servants escaped one night and murdered their master and his entire family. Another story surrounding the home involves the owner's wife who murdered her children. The ghostly victims are believed to roam the rooms of the house and other buildings on the property. A white apparition has been spotted standing at the front windows of the house, and eerie lights have been seen moving around the upper levels. Murdered family members and ghostly slaves have been both spotted and heard here as well. Exploring is discouraged, as the area is often patrolled by police. This mental hospital first opened its doors in 1874 and has been a location full of paranormal activity for quite some time. There are three cemeteries nearby that have over 1,900 graves, all marked with just one number. Stories say that some of the mental patients at this asylum had been Veterans, victims of war violence and post-traumatic stress disorder, many of who are believed to linger the grounds in spirit to this day. 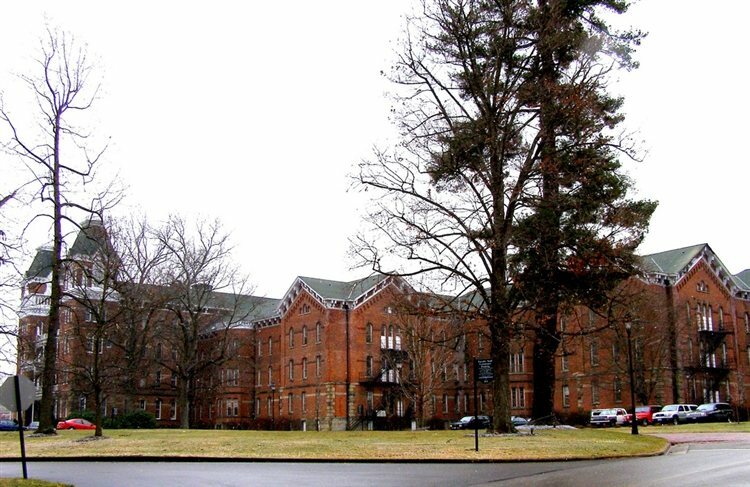 The majority of patients were admitted by their family members or court ordered and according to Haunted Athens Ohio, the hospital ended up becoming the center of cruel treatment to its patients. One patient in particular, Margaret Schilling, suddenly disappeared in 1978 and stories say she was playing hide and seek with the nurses, who got distracted and forgot to look for her. More than a month had gone by and her body was found by a maintenance worker. The stain from her dead body is said to still be there, and whenever it is scrubbed clean, it reappears. Due to its high reports of eerie activity, the asylum has even been featured on TV's paranormal show, The Scariest Places on Earth! This private liberal arts college was founded in 1824 by Philander Chase and is believed to be one of Ohio's most haunted college campuses. It was built atop a hilltop that overlooks the scenic Kokosing River Valley and its first permanent building is now known as "Old Kenyon," which was constructed in the late 1820s. It is one of the state's top schools, but is also believed to have some ghost stories attached to it. According to Forgotten Ohio, the school's main gates, also known as "Gates of Hell," were said to be built on top of the "Hellmouth." Other stories say that the Church of the Holy Spirit or Manning Hall stand on top of the gate that leads to the Underworld. Legends say that students who pass the old pillars without touching one of them, will end up going to Hell. Some other spots on campus that are said to be haunted are Norton Hall, where a "ghostly insomniac" wanders the corridors. The spirit is believed to be a student that committed suicide in his dorm room. Manning Hall is believed to be haunted by an angry student who died before she could attend her classes. She is known to rearrange the furniture in this building. In Lewis Hall, a freshman student hanged himself in the attic and his spirit is said to turn the lights on and off, flush the toilets and knock on dorm room doors. The Shaffer Pool Building is where the Kenyon swimming pool was once held, and according to local legend, a student was using the high dive board when they cracked their head on the glass ceiling, breaking their neck and falling into the pool where they drowned. This story may have been twisted throughout the years, though, as no records show this incident actually occurring. Additional haunted spots on the Kenyon Campus include the Shaffer Speech Building/Hill Theater, Caples Hall, Wertheimer Fieldhouse, Delta Kappa Epsilon and Old Kenyon. 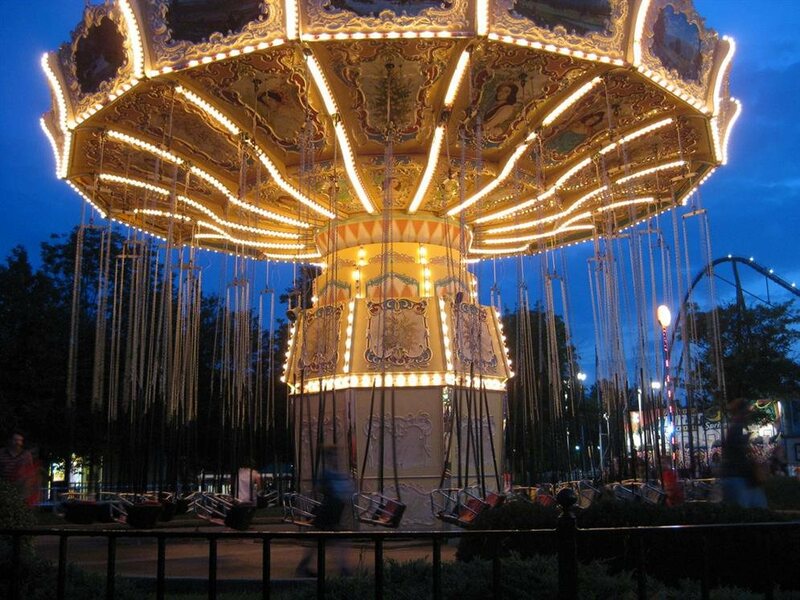 Dating back to the early 1970s, Kings Island Amusement Park is said to have the Dog Street Cemetery on its premises and is believed to be haunted by those who have accidentally died on the premises. There are a number of different spots around the park that are said to have some paranormal activity. One is The Eiffel Tower, where the ghost of Tower Johnny lingers. He had been visiting the park in 1983 on graduation night when he fell down the elevator shaft while trying to wander around one of the restricted areas of the Tower. His ghost is blamed for electrical issues today, and employees call unexplained tripped senors "Johnnies." The parking lot and admissions area are said to be haunted by the ghost of a girl wearing a period blue dress, also known as Tram Girl. Her ghost is known to linger this area after hours. Racer Boy is another ghost, that of a little boy who has been spotted wearing white near the Racer coaster. He is believed to be attached to some of the Racer cars that originally belonged to a Coney Island ride called Shooting Stay, where a little boy fell from the ride and was found dead on the tracks below. In 1976, a Lion Country Safari Ranger was killed by a lion and his spirit is known to wander the park. In 1992, on Black Sunday, a man, his friend and a security guard were electrocuted in a fountain that was having unknown electrical problems. Another occurrence that is said to lead to the hauntings here involves a woman who was on the nearby Flight Commander, and fell from her harness to her death after she turned to look at the commotion happening in the fountain that day. 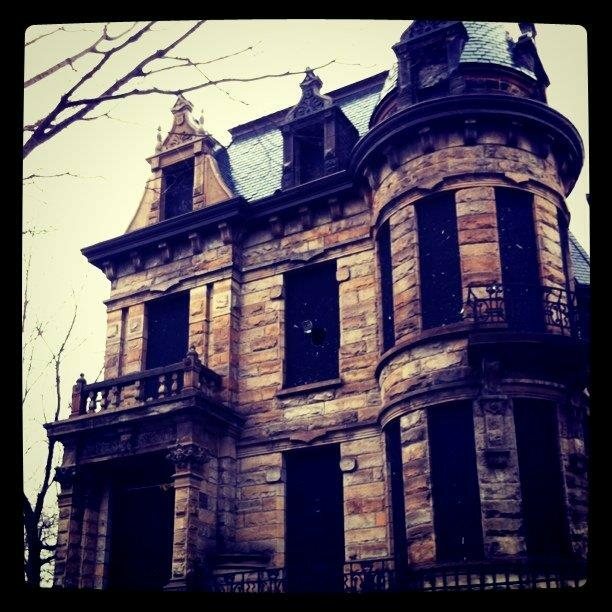 Click here to read about more Haunted Places in Ohio!